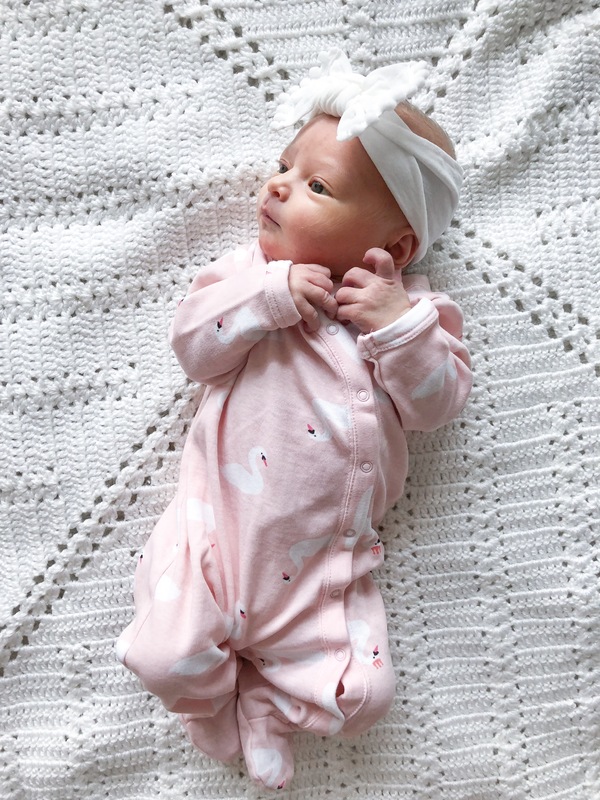 Baby deets: Nordstrom Baby onesie (exact print sold old, other prints here); Baby Bling bow; blanket was a gift from my Grandma (handmade). Hello! 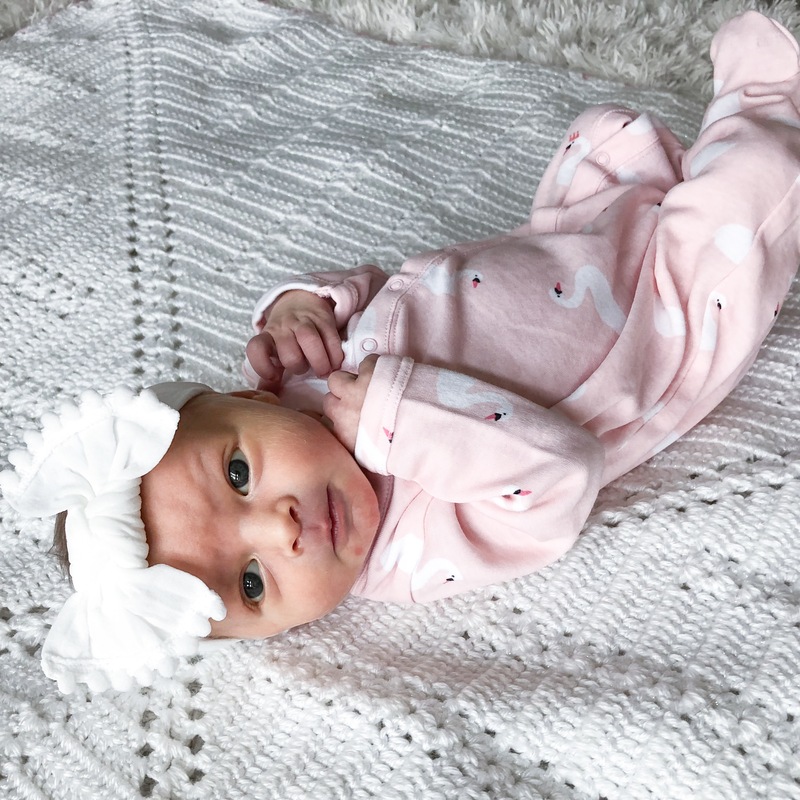 It's been a while since I've been able to get a blog post up here because I have been trying to give myself ample time to get to know my new little family member (also there may be a few more typos around here because mama is TIRED). 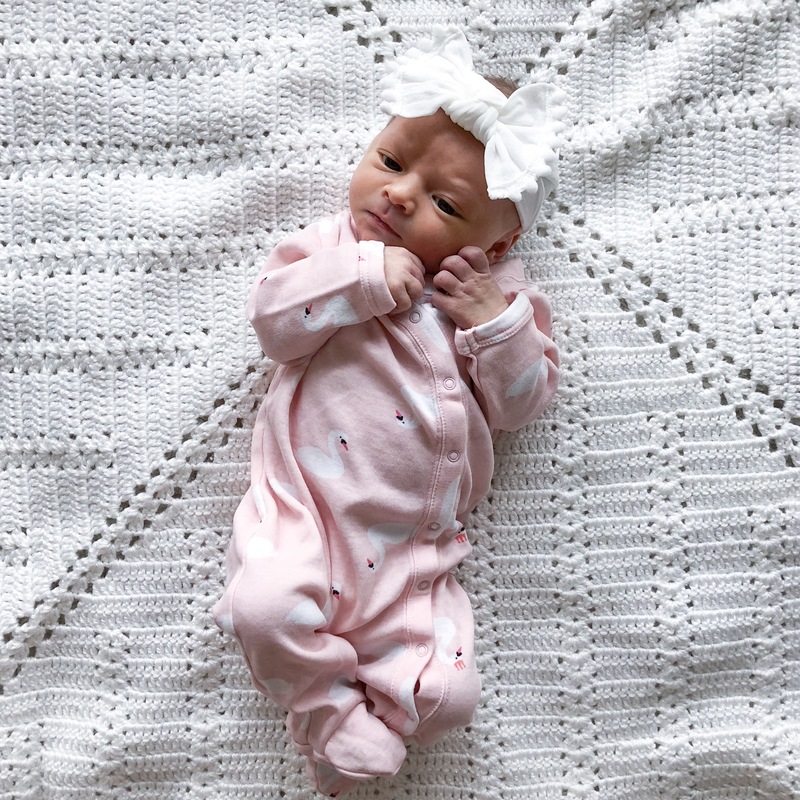 Little miss Isla Dylan was born on September 6th, 2018 at 5:45PM, exactly two days past her due date. She was 7.4 lbs and 21 inches long. I still can't believe that I grew her inside of me and now she lives in the world, what a crazy concept to wrap your head around. Even though I just went through it, it still seems pretty unbelievable. She is very sweet so far, eats and sleeps well - and since that is basically all they do at this point I can't complain! We love her so much I can't stop kissing her little chunky cheeks. She looks just like her dad with lighter features - we aren't sure where they came from since we are both dark. These are some photos I snapped with my phone when she was 5 days old. 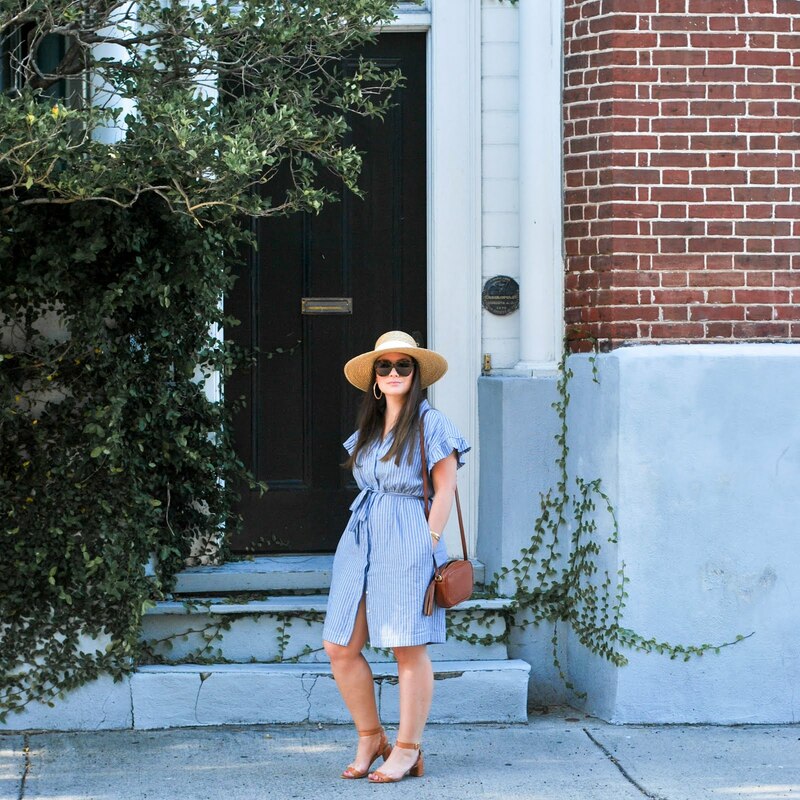 I know many bloggers write out a whole "birth story" but I am still on the fence about it - maybe I will do an instagram poll to see if that is something you guys would be interested in. My time is so precious now that I only want to spend the little bit I allocate for the blog on stuff that you want to read about. 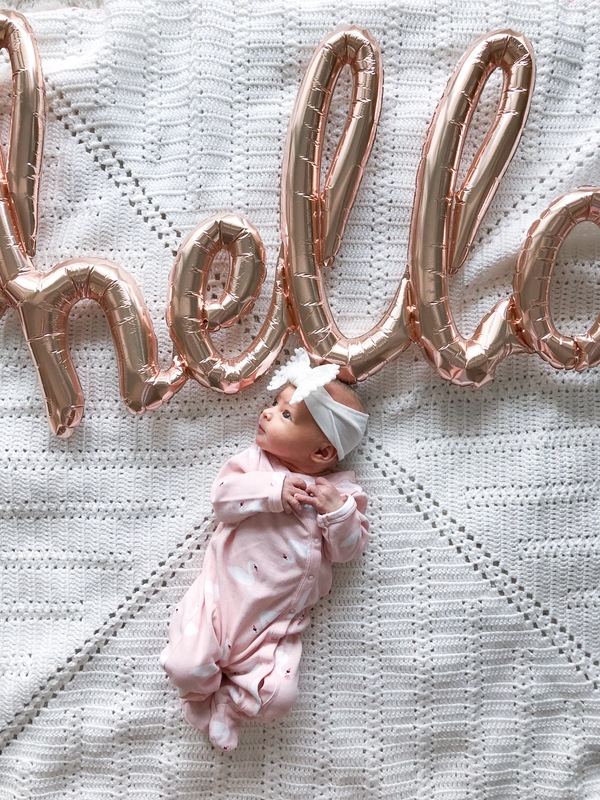 I LOVE my blog and will continue to do it as usual - I swear back to OOTDs and the like soon but wanted to formally introduce you all to my newest little homie.